"I went to Scott with severe headaches at least 7 times a month. I was told by another specialist that they were stress-related headaches. Scott did a very thorough workup on me and found that my problem was coming from my neck. I no longer have headaches and I am very thankful for Scott. I can't believe how much better my life has been." "I was told I would have to have surgery on a disc in my lower back and already had the surgery scheduled when I went to see Dr. Kline. He told me to give him two weeks to see if he could help. 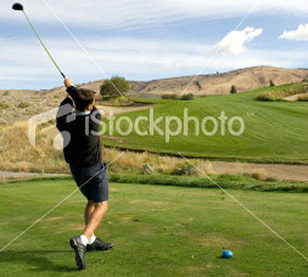 I am glad to say he did and my back and leg are doing great and my golf swing has never felt better!" "I went to Dr. Kline for low back pain and frequent "cricks" in the neck and shoulder area. Any movement caused severe pain. Dr. Kline was very nice and helpful and explained everything really well. Chiropractic care has helped me in all the areas I was having problems. I would encourage others to be open-mined and at least give chiropractic a try with their health concerns. "I saw Scott for neck and shoulder pain I had for several years. It got very severe and I went to a medical doctor who gave me muscle relaxers. I did have my doubts about chiropractic before I went and I was also scared it might hurt. I can say now he did not hurt me at all and I am doing great. I would recommend that others see Scott for their pain and suffering." "I came to Scott with severe problems in my wrist and arms that had been diagnosed by a medical doctor as carpal tunnel syndrome. Scott started to work on this and I could not believe the way I responded to his care. I now have no problems with my wrist or arms. I feel like a new person." "I first came to see Dr. Kline for chronic pain from my head to my legs. I had been diagnosed with Fibromyalgia prior to seeing Dr. Kline. He has made such a difference in my symptoms I can't believe it. I had come to the point I did not feel I would ever feel better. It is amazing how much better I feel. I would recommend anyone who has had trouble with chronic pain or been diagnosed with Fibromyalgia see Dr. Kline to see if he can help."